Retractors are used to hold an incision or a wound open, to hold an organ or tissue out of the way to expose what's underneath. We stock three broad categories of retractors. 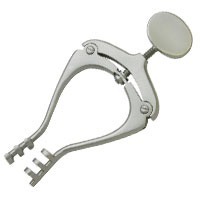 These retractors are made of fine German surgical grade steel or titanium. See the three types of surgical retractors.